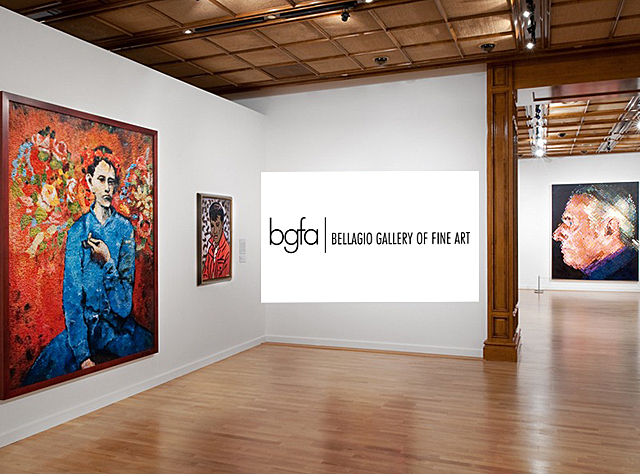 Bellagio Gallery of Fine Art is Las Vegas’ premier exhibition space—where great art goes on vacation. BGFA is committed to presenting intimate exhibitions featuring works by some of the world’s most compelling artists. Aftermath of Obliteration of Eternity and Narcissus Garden Disclaimer: Please note that this is a light sensitive exhibit. These installations may trigger seizures for people with photosensitive epilepsy. • Expanding upon her lifelong obsession with the dissolution of the self into the infinite, Yayoi Kusama created Aftermath of Obliteration of Eternity the year of her 80th birthday. Visitors are invited to step into the room and stand on the central platform. Overtime a delicate, shimmering mirage unfolds, as an array of lights ignites and is mirrored on every surface of the all-encompassing environment. In less than a minute, however, all light disappears, and then the cycle starts anew. • Narcissus Garden was Kusama’s first successful experimentation with Performance Art. Although officially not invited to represent Japan at the 33rd Venice Biennale nor given permission to participate by Biennale officials, Kusama nevertheless placed 1,500 plastic silver globes on the lawn near the Italian Pavilion. The twelve-inch in diameter mirrored balls were tightly arranged, creating an infinite reflective field that distorted images of reality on the surface of the balls. As in the original Greek my thin which Narcissus’s admiration for his own reflection eventually causes him to drown, the viewer is forced to confront their own vanity when looking at their distorted reflection on the surface of the balls.